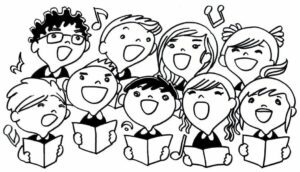 This is a singing ensemble for children of all ages who are ready to sing. Both young children and older youth are invited to participate. The Kids Choir will sing in the Service every few weeks on various Sundays throughout the year. Parents are welcome in rehearsal but do not need to attend.